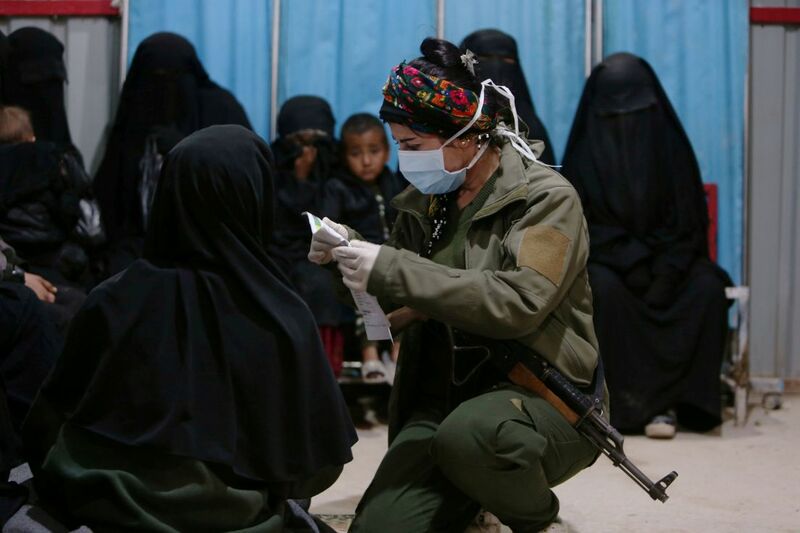 The exodus during intense fighting of more than 60,000 people from Islamic State's final redoubt of Baghouz is overwhelming medical staff in eastern Syria who struggle to cope at the camp and ill-equipped hospitals. Scores of people, mostly children, have died on the 150-mile (240-kilometre) journey to al-Hol or soon after arriving, aid groups say. "My son has a dislocated hip. He needs an operation urgently," said Umm Mohammed, a veiled 33-year-old woman holding an expressionless six-month-old boy at the camp. 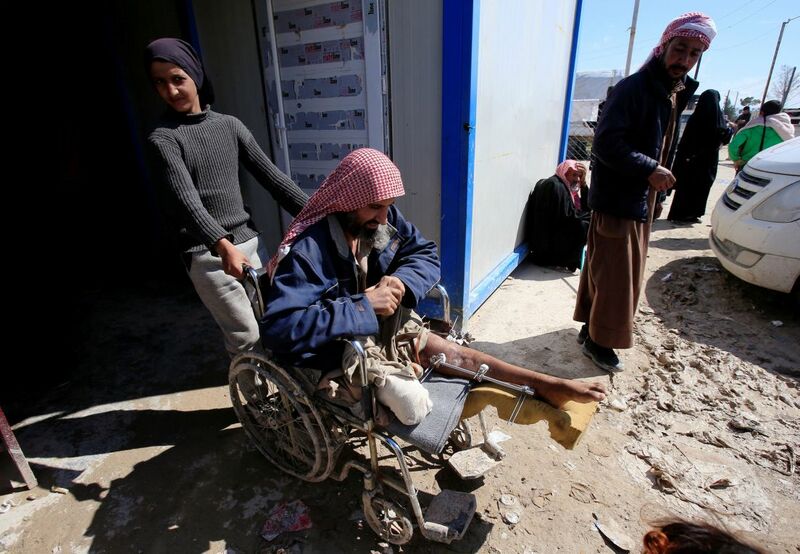 "Medics keep saying they have more urgent cases to deal with – wounds and shrapnel injuries." U.S.-backed forces declared the defeat in March of Islamic State's self-proclaimed caliphate – the territory it once held in Iraq and Syria – after militants were driven out of the village of Baghouz where they made a months-long last stand. "I just want an X-ray at the hospital," she said, giving her name as Umm Ahmed. "I was hit in the head by shrapnel," Kurdi said quietly. "We were next to a car packed with ammunition and explosives, including suicide belts ready for fighters to use. "My husband was killed. My daughter is one month old – she's upstairs in the babies' ward." Kurdi's daughter was one of the few non-foreign infants in the ward. Others, many blond or with Asian features, lay quietly in their cots with cheekbones showing and eyes sunken into their sockets from malnutrition. The patients' register listed the names their mothers gave the hospital – Ali Azerbaijani, Ali al-Uzbeki, Mohamed Skramo, a Norwegian name. "Children from the camp are arriving night and day. 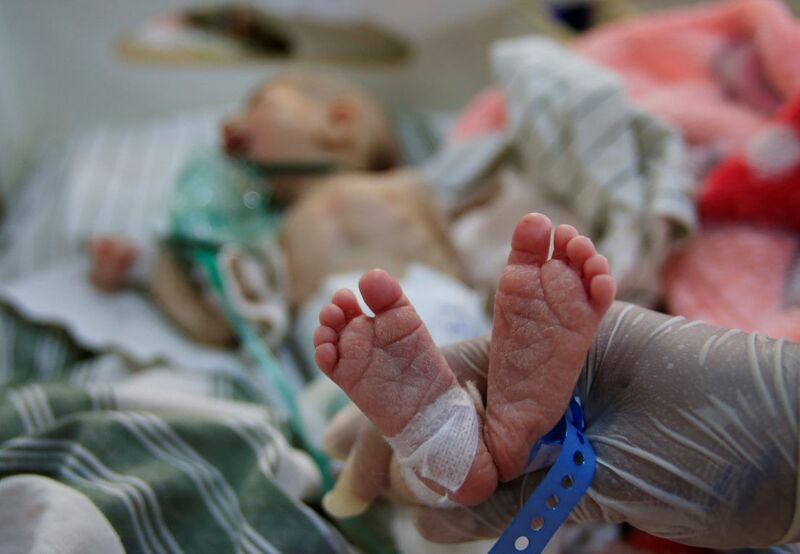 We currently have more than 70 babies being treated for malnutrition," a nurse in the ward said. "Most cases are treated and then returned to the camp. A few have died. We're doing our best but had limited resources even before this influx." "We get 30 ambulances arriving each day," a local health official said, also declining to be named. "There's aid from international organizations for those from Baghouz. They're mostly foreign. We can barely provide healthcare for our own."